The convenient Polly2Start Deluxe Highchair is packed with easy adjustability to accommodate growing children from the start. For newborns, a 4-position reclining backrest with one-hand activation helps create a comfortable space for bottle feedings. And for older babies and toddlers, 8 height positions and fold-away armrests make it easy sit right up to the table for meals with the family. A large tray snaps easily onto the armrests for meals away from the table, then slides neatly onto the rear legs for storage after. A soft, wipeable seat pad and two removable tray liners offer easy-clean convenience; and rubberized, rear-locking swivel wheels navigate from room to room without marking floors. The Polly2Start Deluxe also folds compactly, with the tray attached to the rear legs, for storage between meals. A bonus seat insert offers cozy comfort with reversible fabrics. And with the added benefit of a second tray liner, there’s always a clean meal-space at the ready. Recommended for use with children up to 36 months old, or who weigh less than 40 lbs. Refer to the care label for instructions on cleaning the fabric parts of the product. You can spot clean the seat pad with a damp cloth and mild detergent. Do not use bleach, spray, or wipes on the pad or plastics parts on this product. Do not machine wash the seat pad and shoulder Pads. periodically wipe clean plastic parts with a soft damp cloth. Always dry the metal parts to prevent the formation of rust if the product has come into contact with water. Polly2Start Deluxe Highchair - Meridian is rated 5.0 out of 5 by 10. Rated 5 out of 5 by millerfam from Great Highchair! I love that this highchair is so versatile and can be used with a wide age range. Our home isn't super spacious, so it's very helpful that the tray can come down and be stored in a small area when not being used. All the material is easy to wipe down to keep it clean and looking new. Also love the sleek look! Overall, super happy to have this highchair! Chicco provided this product to me in exchange for my honest opinion. Rated 5 out of 5 by slloyd15 from Great investment, grows with baby!! I love the longevity of this highchair!! It is designed in a way that it will continue to accommodate my growing little one. This highchair is incredibly sturdy and easy to clean. This chair has everything; it even came with two removable tray liners. It is also easy to move around and store out of the way. It is a great investment. Chicco provided this product to me in exchange for my honest opinion. Rated 5 out of 5 by MarisL from They thought of everything! We have this highchair in the Meridian fashion and love this color and fabric. 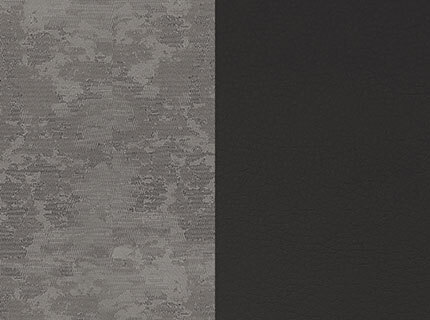 The fabric is soft and well-cushioned for baby and the gray insert is a stylish bonus! This product was very easy to assemble, taking me (mom) less than 20 minutes. When putting the extra insert cushion in, the straps took some extra effort to push through the fabric, but that is the only “negative,” if you’d even call it that. The extra tray liners are helpful for quick clean up or switch-out when baby makes a mess. I love the fact that this highchair grows with your child from newborn to toddler, with multiple reclining and height positions. Also, being able to fold it up to store it or wheel it out of the way as needed is very convenient due to the small size of our dining area. Chicco really thought of everything to make life easier for parents and growing baby with this highchair and I could not be happier with this product. Chicco provided this product to me in exchange for my honest opinion. Rated 5 out of 5 by CaitNav from Sturdy and Very Functional! As soon as we pulled the chair out of the box we were blown away by how easy this was to set up. We actually completely assembled the chair in it's entirety without ever looking at the directions- and we did it correctly! Aside from it's comprehensive assembly and sleek aesthetic, the sturdiness of the chair was a great feature- you feel completely confident having your baby in this thing. The reclining seat and height adjustment gives it the ability to grow WITH the baby as well, which is awesome. Super comfortable and wipeable seat pad- the only small suggestion I would have for Chicco (so small that we still give this 5 stars!) is to make the strap slits on the smaller infant seat pad insert a little longer, as we found it tough to lace the straps in and out of them. One more feature we really enjoyed was the storage for the tray at the back of the chair- this just has so many functional aspects to it, it is a great purchase! Rated 5 out of 5 by MamaM23 from Fantastic Highchair- We Love it! I am so happy we selected the Polly2Start Deluxe Highchair! Assembly was a breeze- only took about 15 minutes and was frustration free (this is a huge plus!). I love the 8 height positions and 4 backrest position. This chair will take you from newborn to toddler and folds up easy- both excellent space savers for my tiny home. One of my favorite features is that the material is so easy to clean- great for a messy baby! By far the best high chair we have ever had! How tall does the high chair get? &nbsp;Will it work at a 42&rdquo; bar height table? The height is 25.5&quot; to the seating surface at the top of the height adjustment range. We do not recommend high chair use with a bar table.